Every time the Traveling Moms come to Disney World without kids we hear at least one “really?” from the peanut gallery. And that peanut usually is scarred with memories of endless lines, searing heat, and screaming kids. 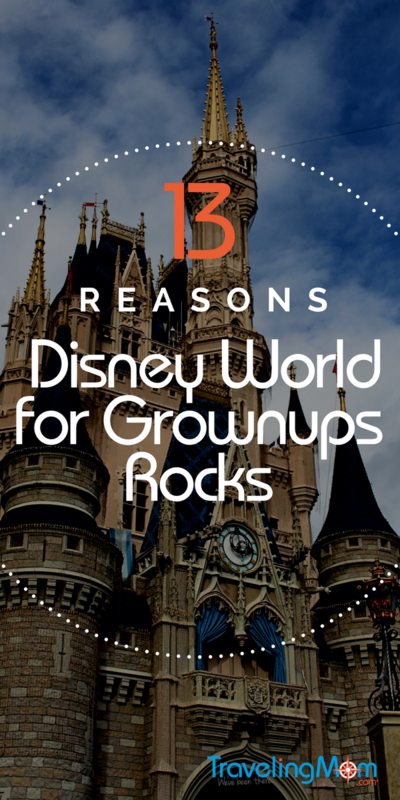 So today Travel Hack Traveling Mom shares 13 reasons to love Disney World for grownups. You can beat the heat. 90 degrees is a heck of a lot more tolerable from the pool or inside a pyramid. Without kids you can leave the parks anytime you get too hot or find lots of places to escape within them. You heard me. Amazing. Food. Get off the chicken nugget express, and you’ll find some of the freshest, most thought out, and all around great eats on Earth. Even better, you don’t have to go to the marquis restaurants to find it. Check out my list of five great Disney World restaurants where you can actually get a table. 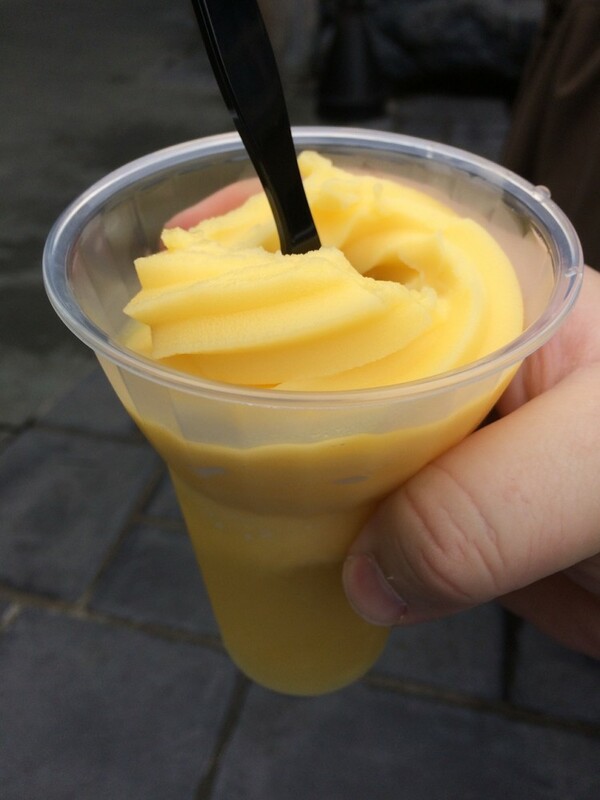 You can have Dole Whip for Breakfast Dessert. If you’re at the Polynesian, grab some Tonga Toast at Captain Cook’s. Then round the corner to Pineapple Lanai for dessert after breakfast. Because you can. Disney takes salads to an art level. The chefs go into the gardens and pick for themselves what they’ll use each day. Salad ingredients change with the crops and the seasons- and they’ve all been terrific. When in doubt at any Disney World restaurant, order salad- it makes up for the Tonga Toast. Disney prides itself on theming and every bar and restaurant has a specialty. The best way to enjoy it is in a “flight” which contains a taste of 3 different types arranged in a sampling menu like you’d see in a vineyard. From the organic beer at The Wave in the Contemporary to the 12 year scotches I enjoyed at Jock Hangar’s Bar in Disney Springs you’ll get great spirits at a value price. Recently a fellow Traveling Mom and I enjoyed a spectacular view of the Magic Kingdom’s fireworks accompanied by a ukulele serenade at Trader Sam’s in the Polynesian. Add a frosty mug of rum goodness and it was pure heaven. And Amphicar rentals only hold three-no worries about someone missing out. More time for Uniqlo Shopping. 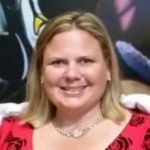 Yes, you can shop with the kids, but who wants to? With my Disney World for Grownups plan, you can try on all of the unique Disney inspired Japanese designs at your leisure. You get a terrific chance to shop at the Disney Character Warehouse, where you can stock up on 75% off gifts without prying eyes. You’ll need a rental car or uber, but it’s worth the trip. Screaming kids? A lot easier when they’re not yours. You can’t negate them, but without kids you can be a lot more strategic. No one will judge you for skipping Dumbo- though you might want to check out the new waiting area. Ditto for going around the Gran Fiesta tour with the 3 Caballeros twice in a row because it’s cool and empty. You don’t have to use your Fastpasses to meet Anna and Elsa. Unless you want to. (Hey, we don’t judge.) You get more time to enjoy the thrill rides over and over again- or more time for It’s a Small World. Don’t forget you can you can reload your fastpasses once you use your first two every day. More freedom to enjoy the non-park perks. I like coming even when I don’t have a park ticket. Stay on property to restaurant and bar hop and you won’t miss Thunder Mountain. When you have kids you have more pressure to spend every minute in the parks to maximize the ticket value. 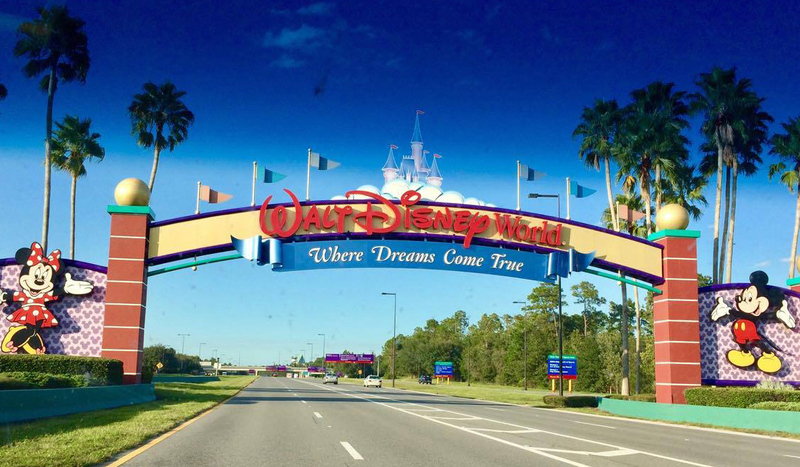 With no kids in tow, enjoy shuttle boats, mini golf, surrey bike rentals, and more of the hundreds of options Disney World offers outside the parks. More time to appreciate the details. In the Jock Hangar bar, it was a good 1/2 hour before I realized the case under my seat was jam packed with historically accurate artifacts. 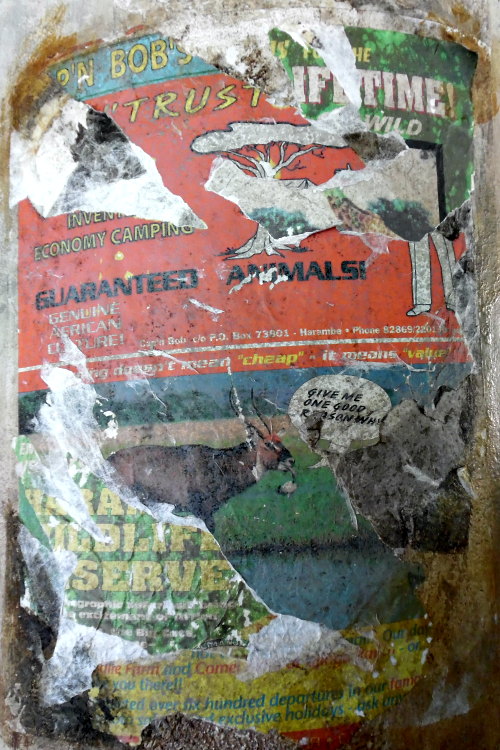 I spent a long time last year in the Animal Kingdom noticing the torn layers of posters in Harambe Market. Each one had to be hand painted just to be ripped up so a 1/2 inch would show. I had a chance to chat with the Harambe Market Imagineers. They spent weeks in Africa sourcing artifacts and researching the scenery. If you’re chasing rugrats, you’ll miss all of that hard work. So I hope I’ve convinced you to at least try a few days without kids at the mouse house. What are your Disney World for Grownups faves? I’d love some ideas in the comments as I’m heading down again soon!